I use a few different cloud based applications on a regular basis. I have discussed Dropbox before and how much I love it. As well, I use Google Apps to host my email, calendar, contacts and pretty much my life…In fact I wrote a blog post a while back about 4 Online Services I Can’t do Without! But I have had an on again, off again friendship with it for some reason. I will sometimes go months without logging in or referencing anything in my account. Why? I have been heavily relying on Dropbox to be my online backup tool. It is really slick, can be installed in Windows, OSX, and Linux. But there is always something missing…Dropbox is great for storing items, but if you have ever used their search, it is very poor at searching within a document. It can’t scan the contents of a PDF or text document for a word. Evernote can! And it is frickin’ fantastic at it! It can not only scan standard PDFs, it can search for text within PICTURES! It can even do a good job at reading handwritten notes. I know as I tested it with a picture of a handwritten note I got for my birthday. I love having access to my important documents at all times without looking like a geek by carrying around a USB key filled with the stuff, or my laptop in a bag. 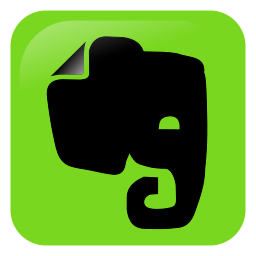 With Evernote, you can have access to everything on your smartphone, any web browser, and can also install native apps within Linux, Mac, or PC. Next PostNext The Power of the Ocean. Insane.